The chief inspector of prisons has called on MPs to review security problems at Oakwood in Staffordshire after inmates staged a riot. The facility was riddled with drug abuse soon after opening three years ago. 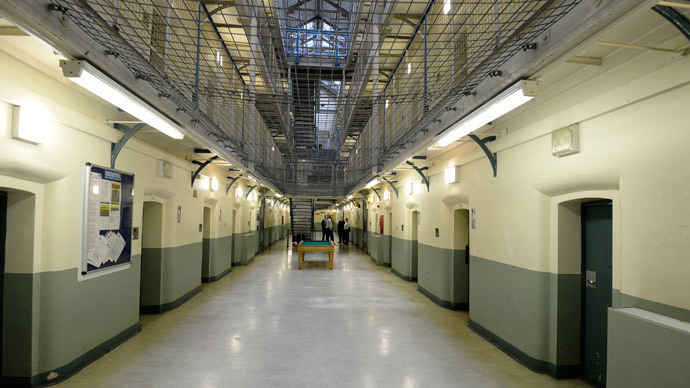 In an inquiry into problems at Oakwood, chief inspector of Prisons Nick Hardwick said contractors and security firms should learn lessons from the Wolverhampton prison before ‘super-prison’ projects commence. Last year, 15-20 inmates threatened staff and damaged cells in a riot that lasted nine hours. “The determined way the director and staff [at Oakwood] have made improvements following significant criticism should be acknowledged,” Hardwick said in his report published on Wednesday. “However, the difficulties Oakwood and other new prisons experienced immediately after opening resulted in unacceptable risks and very poor outcomes for the prisoners held at that time. Relations between Hardwick and Justice Secretary Chris Grayling, however, have been tense and ministry officials haven’t indicated whether there will be a review of the construction of large prison facilities. Hardwick’s concerns about Oakwood and other similar projects could pose problems for Grayling’s plan to open the first super-prison in the UK in 2017. The planned facility will hold over 2,000 inmates and cost around £150 million to build. They also expressed worries about the high levels of bullying and self-harm. “There is still more work to do and the recommendations from this inspection will be used to build on the recent improvements,” he added.